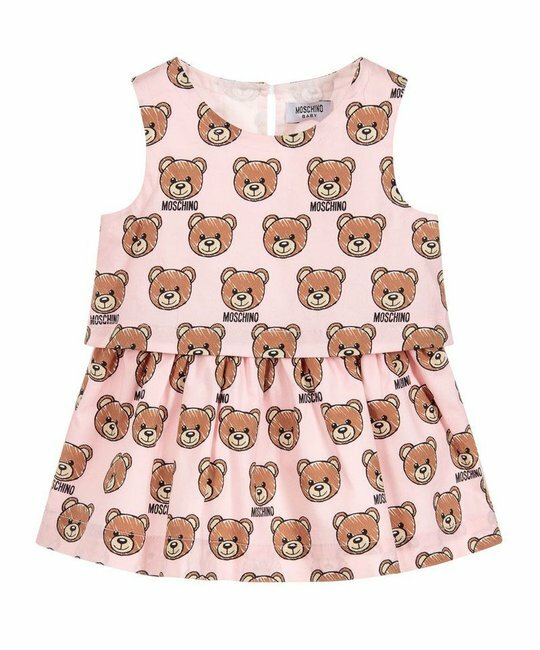 Moschino soft cotton all-over teddy bear print detailing with matching bloomer. 97% cotton, 3% Elastane. Imported.